Today we went on what started out to be a short drive and ended up being a whole day drive. 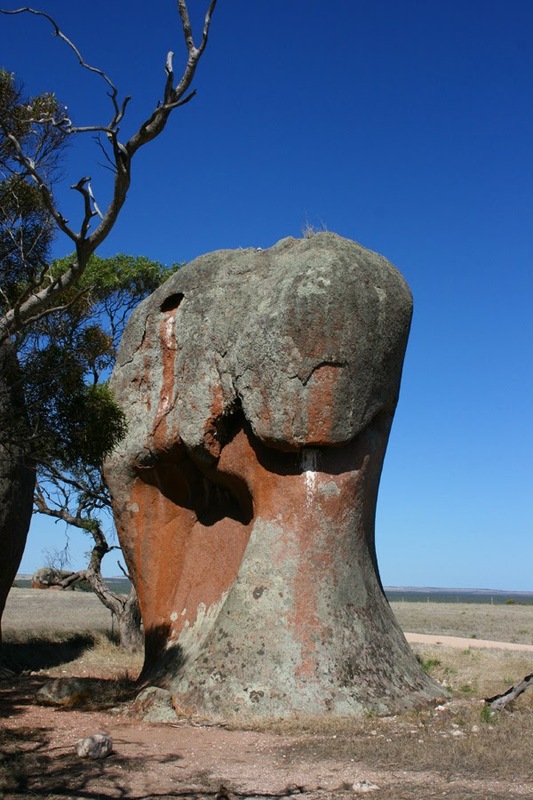 Our first drive was on the Westall Way Loop Drive, just south of Streaky Bay. First stop was at what was called "Smooth Pool" but it didn't look to smooth to me. 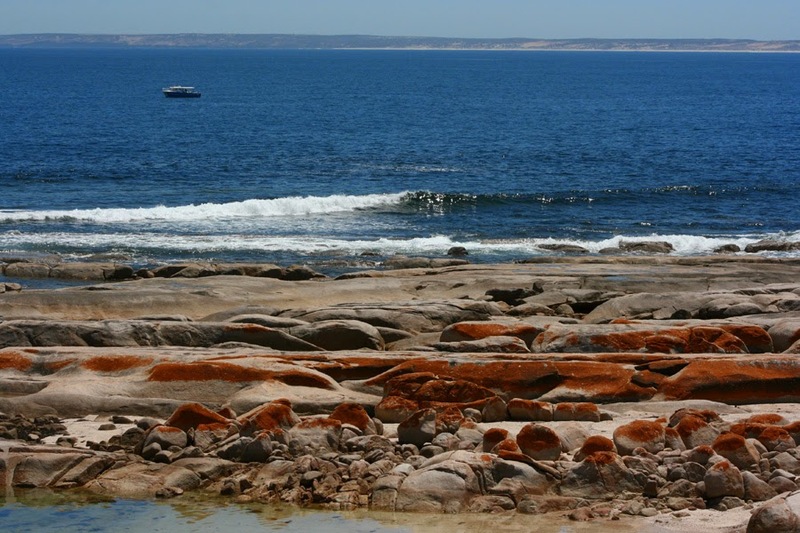 Very pretty with it's amazing ancient rock pools but not smooth. Smooth Pool - not to sure about the smooth bit! Then it was onto Point Westall, with an ocean calmer than we had seen in quite a while. 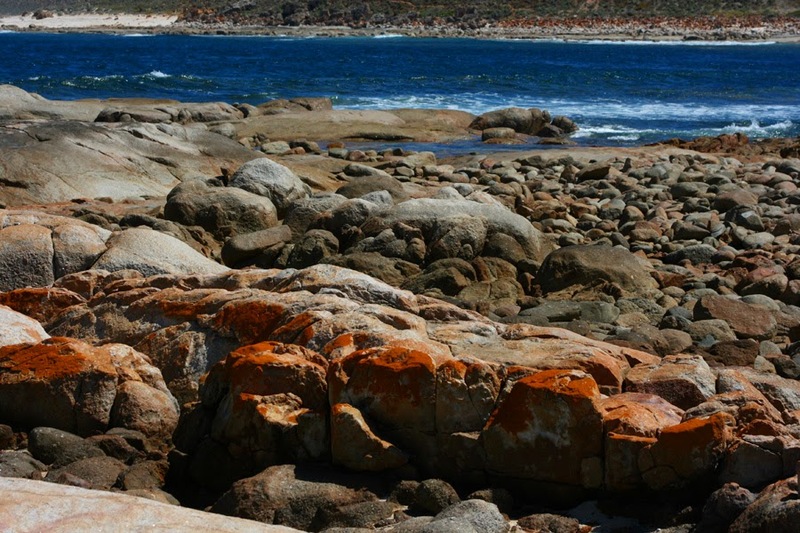 Next was onto the "Granites" with their lichen covered rocks. 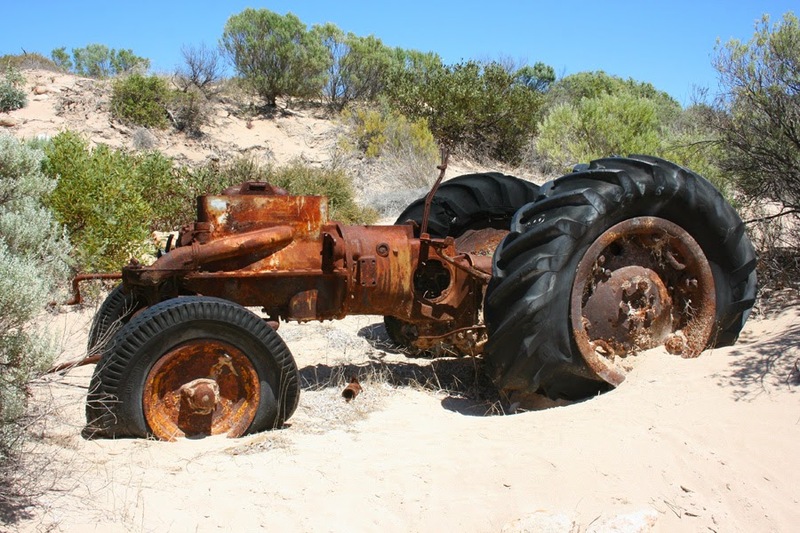 It wasn't hard to know when we had arrived at Tractor Beach by the old rusted tractor. 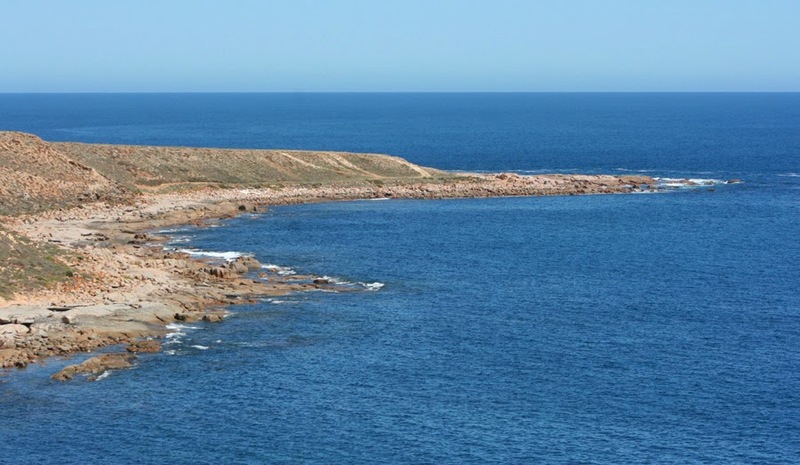 After a bit of a drive along the Point Labatt Sealion Drive we reached Point Labatt to look at the only permanent colony on the Australian mainland of Australian sea lions (Neophoca cinera). 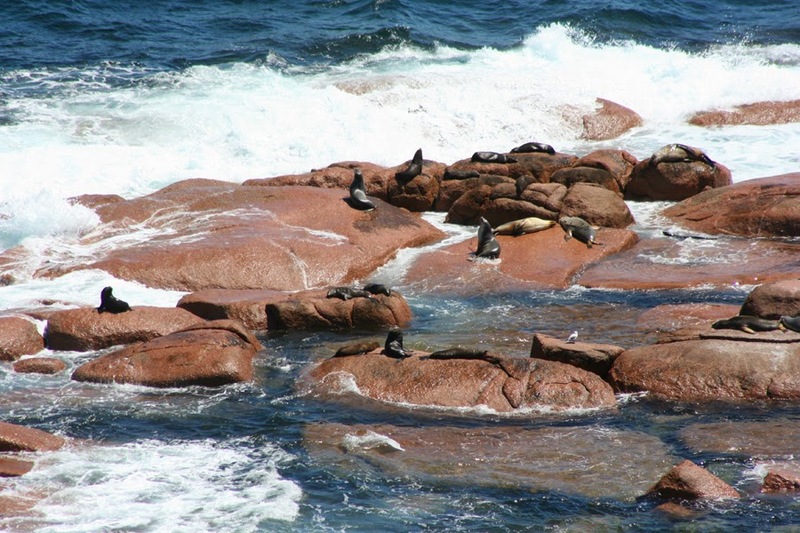 From the viewing platform you can watch up to 50 of one of Australia's most endangered marine mammals and the world's rarest sea lions and New Zealand fur seals. Then to cap of a pretty good day we arrived at "Murphy's Haystacks". 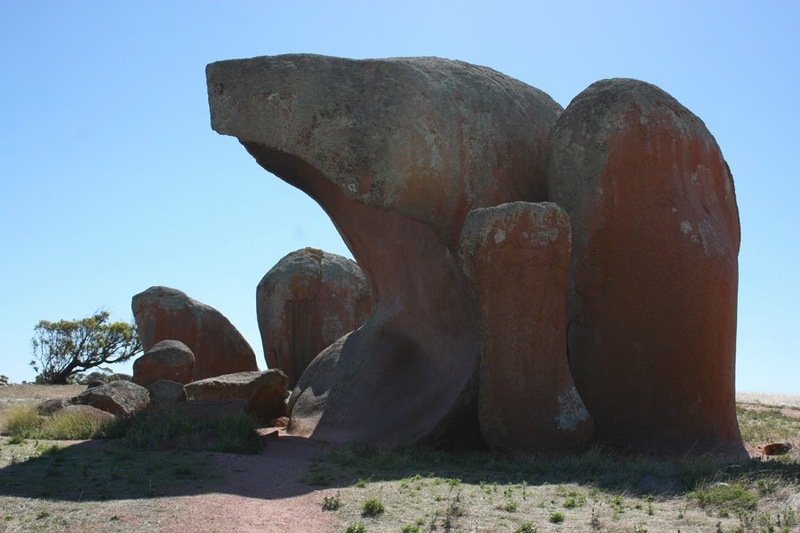 Murphy's Haystacks are ancient, wind-worn pillars and boulders of pink granite estimated to be over 1,500 million years old. The actual name of these rock formations are Inselbergs. They obtained the Murphy's Haystacks name when an Irish traveller in a coach saw the formation in the distance. He asked how a farmer could produce so much hay. As the farm was on a property owned by a man called Murphy they became Murphy's haystacks. It didn't matter to me how they got their name they were pretty spectacular.